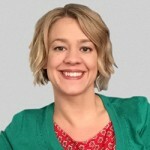 Antonia Ruffell is the CEO of Australian Philanthropic Services. Impact Investing: The Answer Philanthropists Have Been Waiting For? Antonia Ruffell, Wednesday, 2nd November 2016 - Traditional philanthropy has been turned on its head with a growing interest in impact investing, writes Antonia Ruffell, CEO of Australian Philanthropic Services.